• Increased Forgiveness from the precise placement of dense tungsten sole weights in the stainless steel club head. • Greater Ball Speeds on hits outside the center of the clubface. • 4 percent more forgiving longer irons because of a higher MOI. 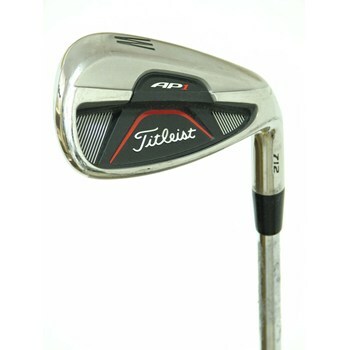 • Progressive size with reduced blade length from long to short irons. • Tuned cavity insert provides positive feedback and feel. • Improved Appearance from address, with a beveled top line and classic look.